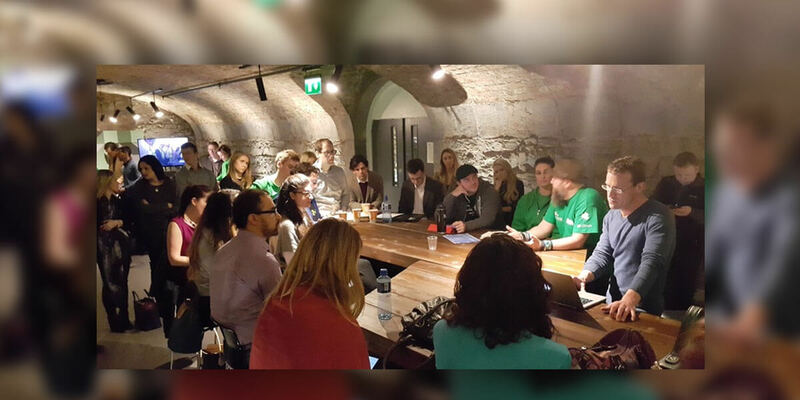 #tru Dublin is a non-profit event organised by Recruiters for for Recruiters and other professionals in the industry. At #truDublin you will meet other Recruitment and HR professionals, recruitment thought leaders, Hiring Managers, recruitment techies representing in-house teams, recruitment agencies, job boards, HR Tech copanies and anyone with ideas to share about our industry making us better at what we do. The event, the track leaders, the sponsors, supporters and agenda are entirely determined by the participants coming form several countires. List of track leaders and track titles will be updated as we get closer the event. For latest updates you can check our website and follow #truDublin on Facebook and twitter. Track Leaders' list will include Bill Boorman (tru founder), Ivan Stojanovic, Gordon Lockenberg, Stephen O'Donnell, Jim Klug, Shane Mc Cusker, Gerlad Morgan, Oscar Mager and many, many more. Show& Tell will feature the best Tech in HR and Recruitment and The Sourcing Playground, by The People Sourcing Crew, sharing sourcing tips & tricks and hands-on workshop for those hard to find candidates. There is no fixed ticket price, we are asking for donations. Please have in mind that we will be feeding and watering you throughout the day and that the actual cost of the event is €100 per person attending. Be as generous as you can, after we have covered the costs all proceeds will go to Coder Dojo! If you would like to sponsor #truDublin, we have several Sponsorship Packages for you to choose from. Email us at hello@irishrecruiter.com for more details.